Most South Africans talk about medical aid and health insurance in one breath but they don’t even know the difference. If you know the differences between medical aid and health insurance you can make an informed decision. Medical aid is always going to be the better choice because it provides more comprehensive cover. Still, there are medical insurance options that offer good benefits too – you just need to know that cover is somewhat a lot less. The Long-Term Insurance Act regulates health insurance schemes while the Council for Medical Schemes governs the medical aids. Health Insurance covers accidental injuries and various disabilities. Medical aid doesn’t include accident or disability cover. Health Insurance pays benefits directly to the policy holder while medical aid pays out directly to the doctor or hospital. The price of medical aid plans has risen dramatically – so much so that most South African can’t afford the premiums. Medical insurance is cheaper but the cover isn’t as comprehensive. Medical insurance payments are not tax deductible. On the other hand, you can deduct medical aid payments from your income on your tax return. Medical insurance is an insurance policy which a person takes out from an insurance company. It will cover you for a certain amount each day for your hospitalisation needs. Such policies may pay out a set fee for specific procedures. Health insurance provides patients with a lump sum each day that they’re in hospital for illness, accident or emergency. It is a bridge between hospital fees and medical aid funds. Regulated by the Short-term Insurance Act and not the Medical Schemes Act , it can offer cover for situations where medical aid can’t. Typical examples of this is that medical aids can’t offer funeral cover or personal accident disability cover. Medical aids definitely take age into account – more so when you haven’t belonged to a medical aid previously. You may have to pay a penalty – a late-joiner fee if you join a scheme late in life. If however you join a medical aid at age 25, you won’t have to pay more as you age. Health insurance policies have particular benefit limits and premiums depend on your health risks and your age. Medical aid are the best choice if you can afford it. A medical aid provides more comprehensive cover and by law must cover a wide range of chronic conditions in terms of Prescribed Minimum Benefits (PMBs). 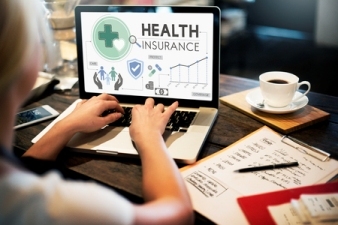 However, for those who are battling to make ends meet, here are medical insurance options that offer worthwhile benefits – just know that cover is less and adjust your expectations accordingly. Medical aids are regarded as being the best option for funding health conditions because the benefits you get are related to the cost of the condition which you may suffer from. All members in the scheme contribute into a pool of funds, and regardless of who you are, benefits are paid to those who need them. Effectively, it amounts to young and healthy people cross subsidise the sick and elderly. Health care is massively costly, and without a medical aid or health insurance a small operation can have you reeling with anxiety as to where the funds will come from. Some people just simply opt to not proceed with medical treatments. Medical aid and health insurance are often used interchangeably, but the truth is there are differences. All it requires of you is to do research. Understand the differences so that you can at least have some form of cover that ensures you can take care of your health. ← Is It Worth Belonging to a Medical Scheme in South Africa?